My roommate claims that I am the last person who "old school pins", as in rips things out of magazines that are inspirational, instead of digitally adding items to the online pinboard we all know and love, Pinterest... and I must admit, I kind of hoard tear outs from magazines. So I have gone through my pile of tear outs, and am going to try and share these articles/outfits/shopping resources that drove me to rip out the page in the first place over the coming weeks. First up: the topic of a working "t-shirt wardrobe". You will never find me wearing t-shirts (pocket tees, beefy tees, whatever you want to call them), but I am newly obsessed with plain shirts (tees). And the fuel to my obsession has been StyleMint. I know I have talked about it before, but you seriously have to try it! Before joining the StyleMint craze, I didn't realize how lacking my tee wardrobe truly was. I now have 5 styles of tees, and wear them constantly! The site is also great for flushing out your tee collection with fun and not so basic tees, but you will still be surprised how versatile these can be with the other items in your closet! At $29.99 a pop these tees aren't the cheapest, but they are very high quality, and also completely flattering and comfy! StyleMint has also branched out to cashmere sweaters, leggings, skirts, and tee dresses. Do you have a favorite StyleMint style? 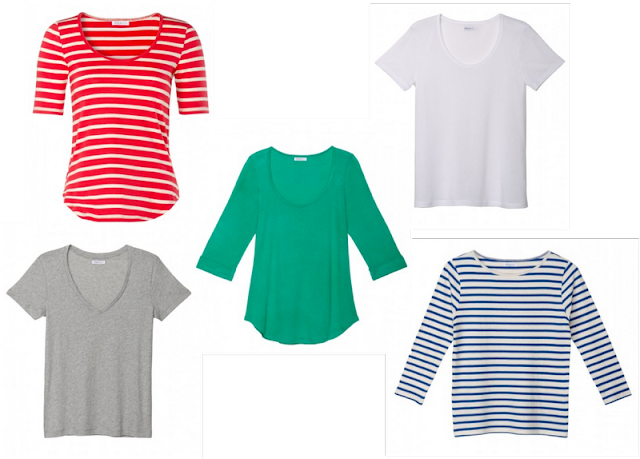 What is your favorite way to wear your basic tees? Hope you found some tees you liked! I need a new tee! You are not the last magazine tear out hoarder! I have a whole notebook FULL of inspiration and outfit ideas from magazines. I am not a T-shirt fan either, but I may have to check out StyleMint. Those striped ones are tempting! 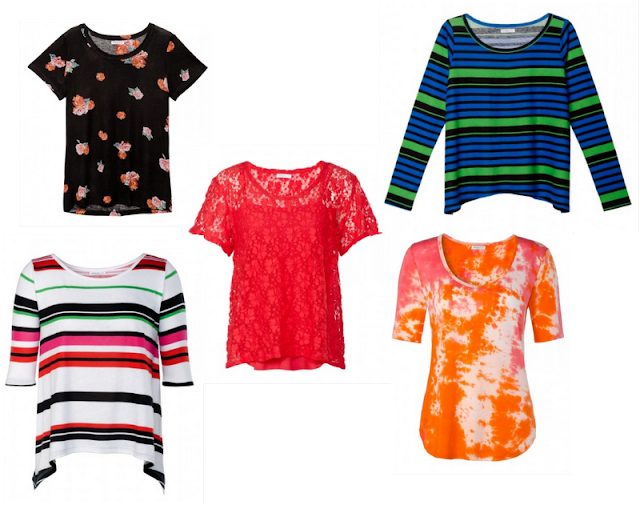 It definitely is a plus for any girl's wardrobe to have a large variety of t-shirts. They do come in handy for mixing and matching! That Rachel Bilson can wear a garbage bag and look effortlessly chic! I love her, great post.. who doesn't love a nice white tee? Oh yea, that Rachel is too cute! And also tempting me to dye my hair ombre... still on the fence!